The September 11th Victim Compensation Fund (VCF) pays compensation to women (and men) diagnosed with 9/11 breast cancer. The VCF can award a 9/11 cancer victim up to $250,000 for pain, suffering and loss of enjoyment of life. If the breast cancer is disabling, a victim may be entitled to additional compensation for lost wages. In addition, the World Trade Center Health Program provides free medical treatment to 9/11 cancer victims. The collapse of the WTC Towers after the 9/11 attacks created an enormous amount of dust, smoke and fumes. The dust and smoke remained for months, putting thousands of responders, downtown office workers, students and residents at risk for 9/11-related breast cancer. Now, many women (and men) exposed to dust and debris from the 9/11 terrorist attack are, years after 9/11, being diagnosed with breast cancer. After the 9/11 attacks, the National Institute of Occupational Safety and Health (NIOSH) studied the dust and debris created by the collapse of the WTC Towers. NIOSH found evidence that 9/11 dust, smoke and debris contained PCBs (Polychlorinated Biphynels). PCBs are classified as probable human carcinogens, meaning they probably cause cancer. Further, studies have linked PCB levels in human blood and tissue with breast cancer. A recent study found that PCBs enhance the ability of breast cancer cells to spread to other parts of the body, a dangerous action called metastasis. Based on this evidence, in 2012, NIOSH, the World Trade Center Health Program and the VCF made breast cancer victims eligible for health benefits and compensation. Our 9/11 lawyers have obtained the maximum compensation available for pain, suffering and loss of enjoyment of life for breast cancer victims who lived or worked in Lower Manhattan. One victim was a woman who worked in the Woolworth Building near City Hall after the 9/11 terrorist attacks. She reported to work a few blocks from the WTC disaster site soon after September 11, 2001. She worked diligently and did her job, helping get her office back on track after the horrendous events of 9/11. Ten years after the attacks, she felt a lump in her breast. She was terrified to learn that she had breast cancer. Her doctors prescribed chemotherapy and surgery to remove and kill the cancer. Fortunately, the treatment was successful and she is cancer free today. She received a generous award from the Victim Compensation Fund, for which she is very appreciative. Nothing can truly compensate for the fear, pain and suffering a breast cancer victim faces. But financial compensation from the VCF can help a victim and family bear up under the strain of cancer. 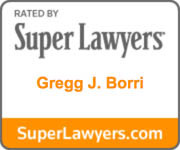 Borri Law Offices Victim Compensation Fund lawyers help responders, downtown office workers, residents, students and other victims with cancer or lung diseases seek financial awards from the September 11th Victim Compensation Fund. For a Free Consultation – call us at (888) 444-2336.